If, in the past, you have gotten into trouble with using credit cards, then the best option for you may be obtaining a secured credit card to help you rebuild your credit. What is attractive about this kind of credit card is that it can re-establish your credit standing and help you graduate to a regular credit card in as little as a year and a half. To establish a credit line for the card, you are usually required to deposit $500, in most cases, into a certificate of deposit or savings account. This acts as collateral against the amount you charge. In addition, you can raise your credit line by depositing more money into the account. In some instances, the issuer will increase the credit amount if you make your payments on time. Besides being available online, secured cards are also issued by many credit unions. If you are a member, you may want to check into this as credit unions often waive the annual fees on the cards and offer them at lower interest rates. If you are applying online, look for a card that does not assess an application fee. Read the agreement first before you make a commitment. 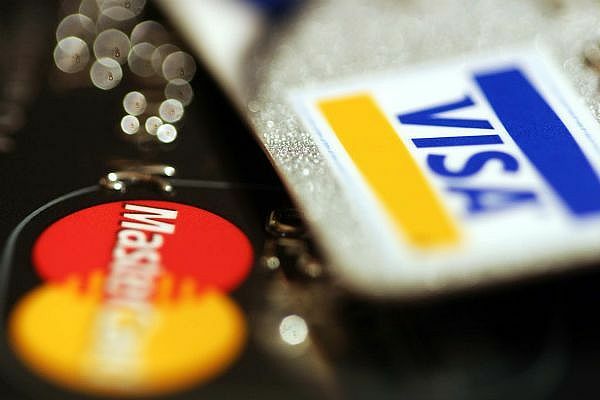 Some companies that offer secured cards can eat up you’re a large portion of your credit limit with fees, making it hard to make large purchases. Therefore, the cards can be helpful or harmful. Just make sure you read the fine print to ensure the card you are getting does not impose excessive charges. Also, make certain that the card you are choosing will not be flagged to the credit bureaus as a secured card when you make your payments as this can prevent you from establishing or re-establishing any creditworthiness. In most cases, though, you will be rewarded and can obtain a regular credit card, in about a year’s time with your new found credit worthiness. One of the most important points to keep in mind when obtaining a secured credit card is not to carry a balance. Use the card to make a few purchases and then pay off the balance each month in order to build excellent credit. As all secured cards typically carry higher interest rates and impose annual fees, it is best to use this type of card as a vehicle to establish yourself in the credit arena as a viable candidate for a regular credit card. Once you do graduate to a regular credit card, research your options first so you can obtain a credit card with a lower interest rate and fewer fees. Only apply to one card company at a time and only choose a card, as stated, that has a lower interest rate and a reduced number of fees. Submitting too many applications will show up on your credit report and can be a red flag to issuers that you are taking on too much credit. Therefore, you may want to apply initially for a retail card as these cards are usually easier to obtain. If you use the card and make your payments on time, you can often easily receive a major credit card at a later date. Credit is a privilege. Treat it with this type of regard and you can make it work well for you.